In late November HootSuite celebrated its fifth birthday. It’s because of you, our users, fans and followers, our ambassadors, certified professionals, partners, and all of the many more folks around the globe who’ve been with us at various stages along the way, that we’ve accomplished so much in such a short time. What does a startup business need to succeed? Is it the concept or the product? The financing? The connections? We spoke with HootSuite’s first 5 employees to get their insight on why our brand has seen such success and one theme shined through above all others: the people. See what they’ve learned over 5 years and enjoy some awesome gifs while you’re at it. In just 5 years, HootSuite has localized in 15 different languages and has users in over 100 different countries. Since 2011, the HootUp and Brand Ambassador programs have successfully spread HootSuite’s unique culture and brand through grassroots advocacy and awareness. Add on to that the thousands of HootKits that are mailed every year, and it’s safe to say it’s been an incredible journey of growth. To celebrate, we highlighted some of our favourite global memories. Over 1 million apps have been installed by HootSuite users in less than two years. With these downloads you’ve proven to us that you love the variety of apps and integrations we’ve made available in the dashboard, and that you really love visual apps like Instagram and Flickr. Have a look and try out our 5 most popular apps. Much of our success can be attributed to how closely we follow social media trends. Our app directory continues to grow as we add the latest technologies and tools that emerge year after year. We’ve been lucky to have a front-row seat to all of the exciting change as it unfolds, over the past five years. So who better than HootSuite’s key leaders—who are out on the social media frontlines every day—to share with us their insights into what we can expect to come next year? These are 5 social media predictions for 2014 from some of our key executives. 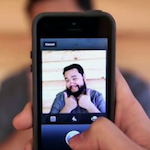 A video look at HootSuite’s culture, community and growth over the last five years. Full of photos from the early days and from this year, the clip will tug on the heart strings of anyone who has followed the company from the start. 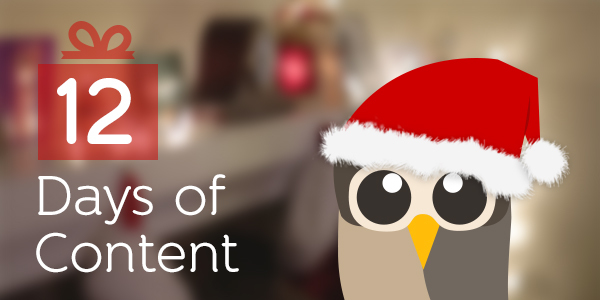 Stay tuned for the rest of our 12 days of content series.